beach. To get to Jaco it is just about 1 hour and Quepos is about a 3 hour drive from San José. 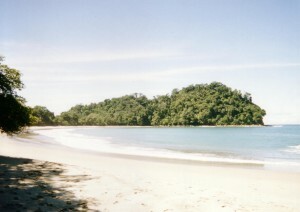 There are many little beach communities along the road from Jaco to Quepos / Manuel Antonio. For those that might be interested in living in this area you may want to consider not being right at the beach in a small town like Orotina which is just about a 30 minute drive to the Pacific Coast beaches an another option might be Parrita which is on the road to Manuel Antonio. Orotina – This is a farming community known for fresh fruits and vegetables. Those looking for a relaxed lifestyle yet close to the beaches and not far from the services of San José may want to give Orotina a look. Jaco – A popular beach location for those from San José wanting to get away for the weekend. Jaco is known for its surfing. almost totally dependent on the African Oil Palm industry so it is off the beaten path for tourist yet on the road to Manuel Antonio, therefore you may find better prices in this area and possibly some business opportunities. 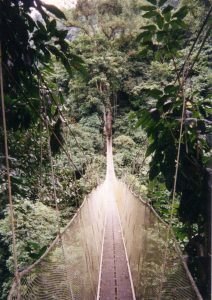 Quepos / Manuel Antonio – Quepos is popular because of its close proximity to Manuel Antonio which is about 7 kilometers south of Quepos. There are plenty of activities in Quepos such as many restaurants, bars, outdoor adventure, and sport fishing to name a few. This would be a great place to live and create a thriving tourist business. I have just named a couple of the towns in the Central Pacific Region there are many others. The best way to see them is to drive along the coast between Jaco and Quepos and stop in some of the small towns along the way.